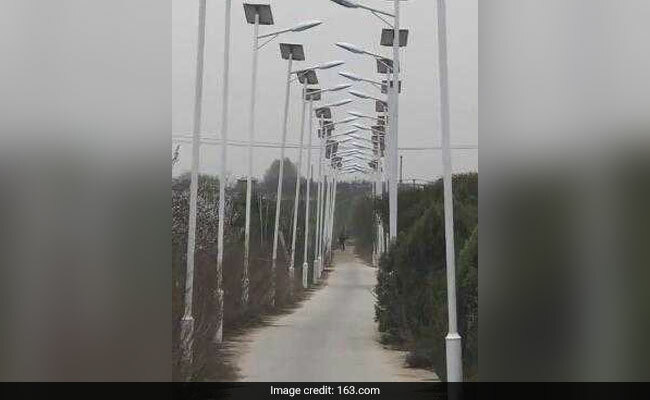 Villagers in Taojia have installed more than 1,000 street lights along a 3-km-long road. 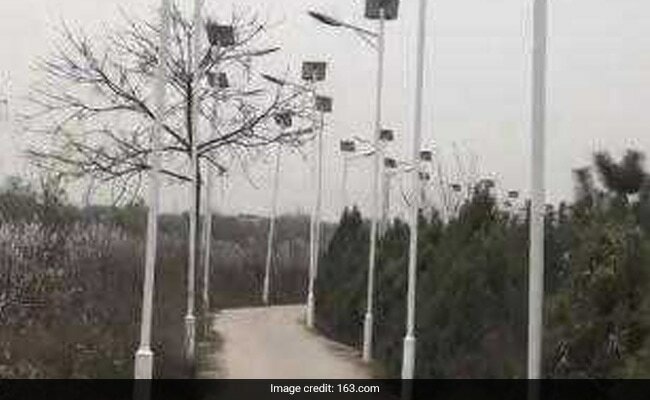 A village in China has installed over a 1,000 street lights along one single road. This might just be the most well-lit road in all of China. A dusty road on the outskirts of Xi'an holds the dubious distinction of having the most street lights installed along it - and the reasons are not all altruistic. According to the Shanghaiist, villagers in Taojia have installed more than 1,000 street lights along a 3-km-long road. One 500-metre segment alone is bordered by a whopping 200 street lights, they report. Keep this fact in mind when you realise that typically, street lights are placed 30 to 50 metres apart. Photos of the well-lit road have gone viral on Chinese social media websites. So why the reason for this absurd number of street lights? Well, according to local reports, the villagers have put up the street lights only to "rip off" the government. The road is located in Taojia village part of the Xi'an International Trade & Logistics Park - an area which is all set to be bulldozed over. Knowing this, opportunistic villagers have installed extra street lights to increase the amount of compensation they will receive from the government! Do you think they will be successful in their scheming? Let us know using the comments section below.